Isuzu currently has two vehicles in its portfolio for India, the MU-7 and the D-max. While the D-max recently received a facelift, the MU-7 has been there for quite sometime now and has begun showing its age. 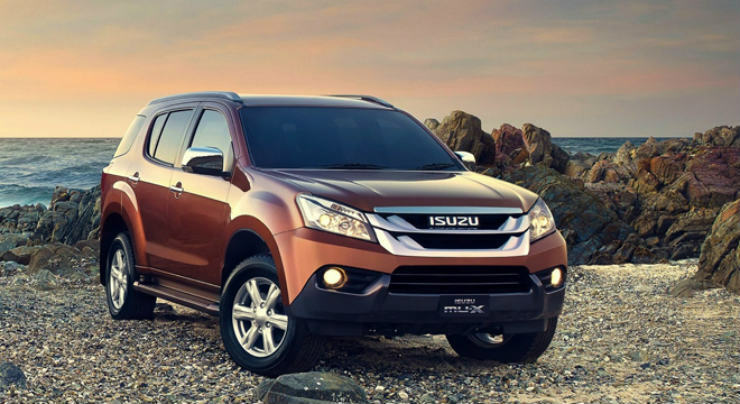 In a bid to replace that, Isuzu has brought in the new MU-X SUV into India for testing purposes which can only mean that they have plans to launch the vehicle to replace the MU-7. 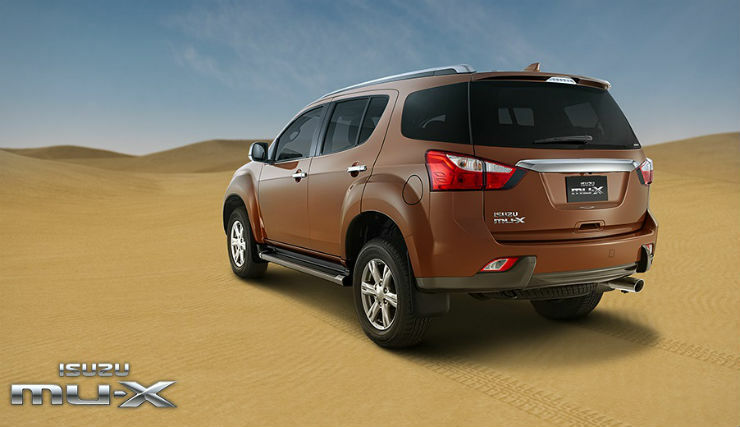 The MU-X is a butch and rugged looking vehicle that shares its platform with the Chevrolet Trailblazer. Not only that, it also borrows quite a few design cues from it, like the side profile as well. Up front, the SUV gets a large dual slat grill and projector headlamps. The rear tail lamp cluster looks like that on the Trailblazer as well, just that the cluster is more angular on the MU-X. On the inside, the design is very similar to what is seen on the Trailblazer. There is a multi-function steering wheel and other features include cruise control, climate control and an 8″ touch screen infotainment system. Under the hood, the international variant gets a 3.0 liter diesel engine that makes 174 Bhp and 380 Nm. However, the current MU-7 in India makes only 161 Bhp and 360 Nm which is what we think will come on the Indian MU-X as well. The Trailblazer on the other hand gets a smaller 2.8 liter engine that makes 197 Bhp and 500 Nm though. The MU-X is likely to be priced under 25 lakh rupees. The outgoing MU-7 retails for 21.27 lakhs.